Presented by Dayanan International Business Consultancy Services, Inc. (DIBSCI) and the Israel Chamber of Commerce of the Philippines (ICCP) and in cooperation with Philippine Retirement Authority (PRA) and Bureau of Immigration (BI). 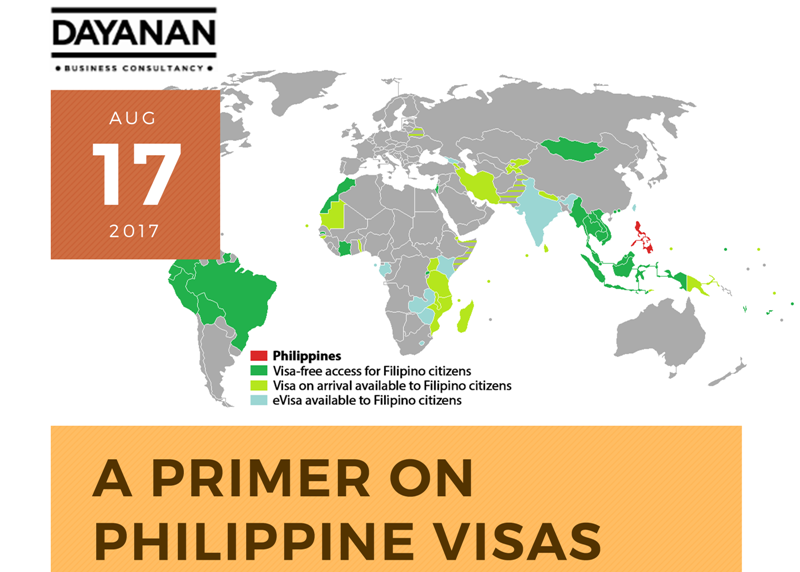 Join us to know more on insider's guide to Philippine visas and immigration. When: Thursday, August 17, 2017 (2:00pm to 4:00pm). Who should attend: Foreign and locally-owned companies who employ foreigners. Select VenueDusit Thani ManilaBarossa and Tuscany Tower ClubThe City Club at Alphaland Makati Place, Ayala AvenueIsrael Trade & Fairs CenterTel Aviv, IsraelBarossa and Tuscany, Tower Club MakatiTaipan, Tower Club MakatiICC Jerusalem International Convention CenterTel Aviv Convention Center, Tel AvivDusit Thani HotelMarriott HotelTower Club, Philamlife Tower, Makati CityBeit Yaacov Synagogue, 110 H. V. Dela Costa Street Salcedo Village, Makati CityWorld Trade Center Metro ManilaWorld Trade Center Metro ManilaDavid InterContinentalTel Aviv UniversityTel Aviv Convention CenterHatachana CompoundTel Aviv Fairgrounds, Rokach Blvd 101 Tel Aviv -YafoPrincesa Garden Resort and Spa, Puerto PrincesaDusit Thani HotelMarco Polo Plaza Hotel, Cebu CityIsrael Trade Fairs and Convention CentreSMX Convention Center, ManilaTower Club, Makati CityWorld Trade Center Metro ManilaQbo Innovation Hub, DTI International Building 375 Senator Gil J. Puyat Avenue Makati City, Metro Manila 1209 PhilippinesMarco Polo Hotel DavaoMarco Polo Hotel DavaoTower ClubManila HotelDusit Thani Hotel Makati CityInternational Convention Center, JerusalemTLV Convention CenterChaplin Restaurant, Level 4, Roof Deck, Century City Mall, Kalayaan Avenue Cor. Salamanca Street, Brgy. Poblacion, Makati CityHilton HotelTower Club, Makati CityDavid Intercontinental Tel AvivMakati CityThe Ark by UnionbankChaplin Cafe IsraeliWohl Convention CenterNo Venue Found!! Connect with businesses both here and abroad. ICCP Members get exclusive access with business forums, seminars, and other business matching events.